There’s more to your roof than just protecting your home. A roof has a variety of components, all of which play a role in its performance. In this article we’ll be discussing different types of roofing ventilation options for your home in Lexington, KY. The purpose of ventilation within your roof is to maintain comfort in your home as well as to promote longevity of your roof’s materials and components. Because Lexington has fluctuating seasonal patterns, it’s important to ensure that your roof can maintain a comfortable climate inside your home as well as perform at maximum ventilating capacity during all times of the year. During warmer times of the year, specifically in the summer, making sure the heat can escape from your attic is crucial to protecting the materials that make up your roofing system. If the roof lacks in adequate ventilation, the heat can not only make the home uncomfortable and less energy efficient, but it can also cause deterioration of the materials. This might include cracking, warping and separation of these materials. Winter months are also equally important to maintain proper ventilation. Condensation is more likely this time of year. The condensation or moisture can become trapped within the attic, which can lead to mold, mildew and eventually cause your wood to rot. 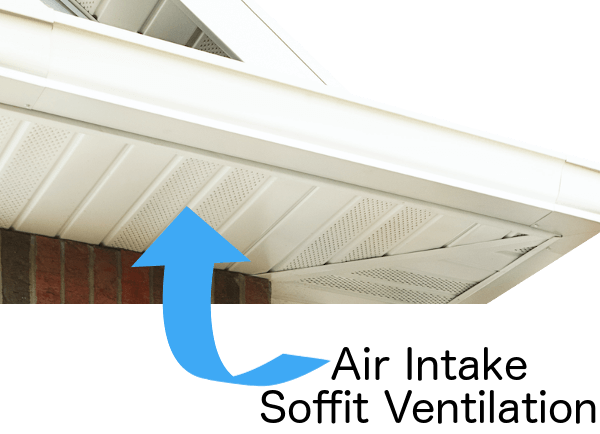 Starting from the bottom up, is soffit ventilation. Although the soffit is not technically your roof, the material used can either be ventilated or not ventilated. If vented, this provides proper air displacement throughout your attic. 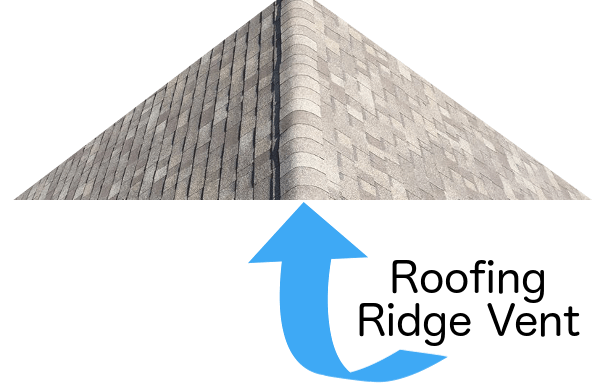 Another type of attic ventilation is the gable vent. There are some varied opinions on using this type of ventilation in addition to using soffit vents. In most cases, this type of ventilation is considered the least effective type. 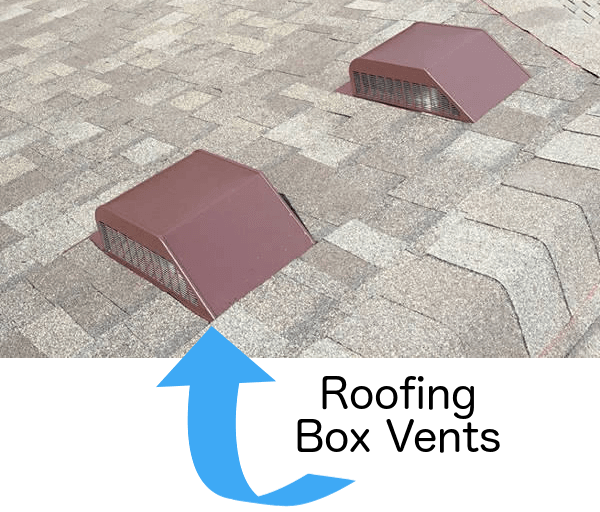 Box vents or sometimes referred to as “turtle vents” are one of the more common applications used for roofing ventilation. Often times these will be installed on the back side of a home’s roof to provide a cleaner look for maintaining better curb appeal. The ridge vent is the alternative to box vents. 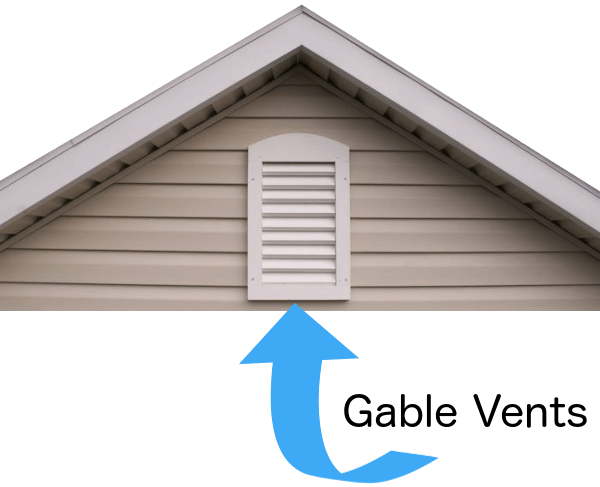 This style of ventilation not only performs better, but also provides a more streamlined look to your home. What’s The Best Combination Of Roofing Ventilation For Your Home? Each home and environment can vary, thus making the decision on which type to go with questionable. 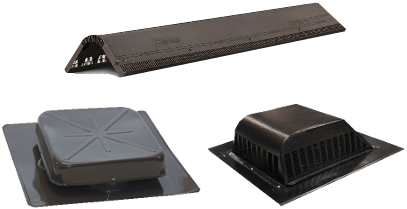 In most cases, the combination of soffit vents with ridge vents are the best method and application for providing your roof with maximum ventilation performance. Whether you’re replacing your roof in the near future or you simply want to gain an understanding on how you can maximize your home’s efficiency, Lexington Blue provides free inspections and design consultations. We’ll offer unbiased advice based on your home’s ventilation improvement options.